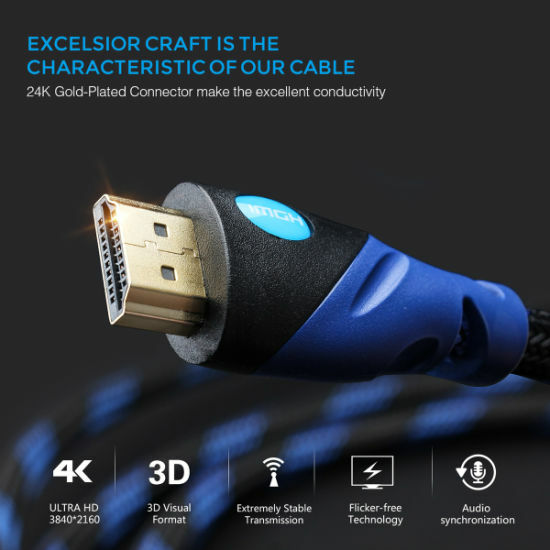 HDMI Cable, HDMI Cable V2.0, HDMI Cable 4K manufacturer / supplier in China, offering 4kx2K HDMI Cable 2.0V/1.4V Ultra High-Speed Proffessional HDMI Cord Long HDMI Cable, Bluetooth 5.0 Wireless Earbuds with Auto-Charging Box, Mini VGA to HDMI Upscaler 1080P and so on. 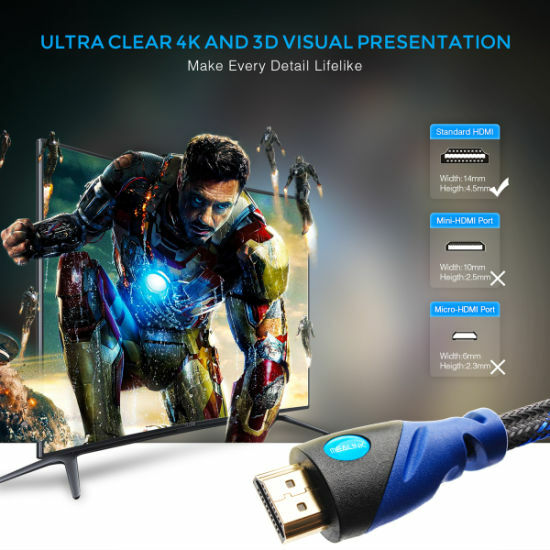 HDMI 2.0V Cable with Ethernet, support 4K@60Hz 4:4:4, work at the 18 Gbps maximum bandwidth of the HDMI 2.0 specification, backwards compatible with previous HDMI standards. 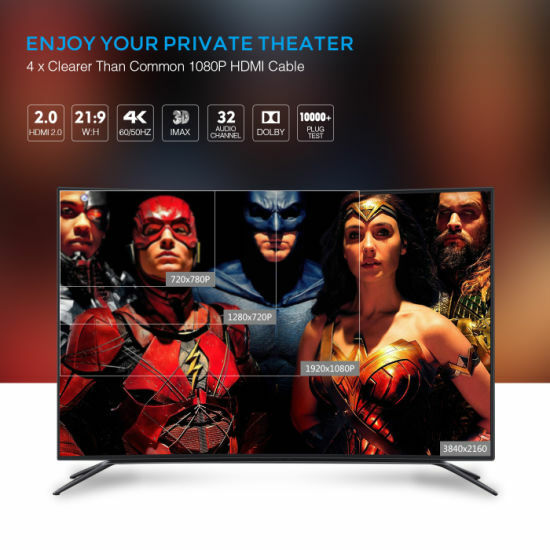 Featuring 3D video, Ethernet, ARC and HDR. Gold-Plated connector for superior conductivity. 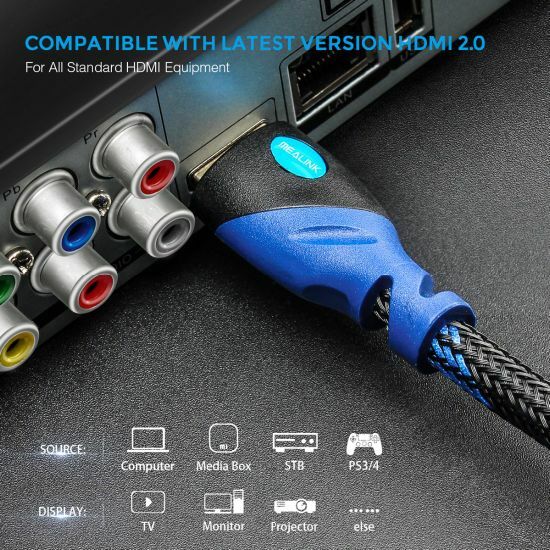 Connect all your HDMI devices to your Ultra HD TV and take advantage of your home theater system. 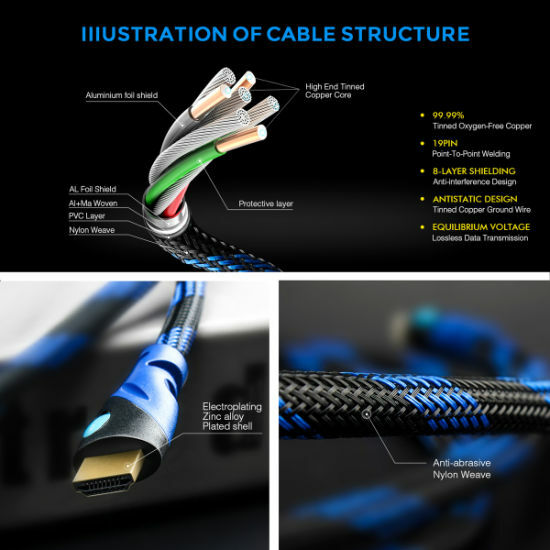 1.Full metal jacket connector provides strength, durability and prevents interference as compared to other cables.